Stop by this Saturday & Sunday from 2-4 to view the two beautiful remaining townhomes for sale in Dorsey Pointe! You will love the gorgeous finishes & fabulous floor plan! Great location & spacious interios! Call 502-371-1173 for more information about these open houses in Louisville. Join our team this Sunday from 2-4 at one of two fantastic Open Houses! Both available townhomes at Dorsey Pointe will be open for touring. 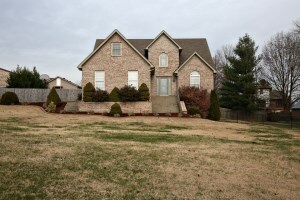 We will also hold open at our gorgeous Shepherdsville listing on Zinnia Way. Call 502-371-1173 for more information! At Home In Louisville Real Estate Group will host two Open Houses in Louisville this Sunday. Come out to tour the two beautiful remaining townhomes in Dorsey Pointe! 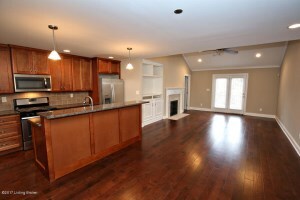 You'll also love touring our brand new listing on Wisdom Ln! 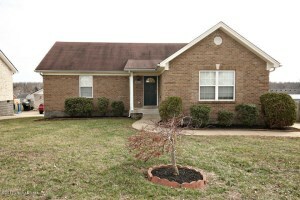 The home on Wisdom Ln is a lovely three bedroom two full bath ranch in desirable Heritage Creek. You'll love the floor plan & tasteful interior! Call 502-371-1173 for more information about these fabulous properties or visit with us this Sunday. 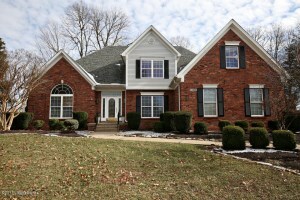 13808 High Trail Court Louisville KY 40299 is a gorgeous four bedroom two and a half bath home in Stone Lakes Estates. 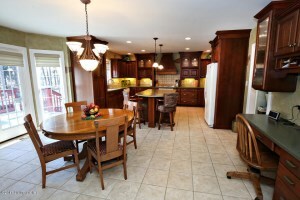 The property offers custom builder upgrades & sits on a quiet cul-de-sac lot. The Foyer with custom crown molding & tile flooring welcomes guests. The Great Room is two story with skylights, vaulted ceiling, custom crown molding, built in bookshelves, and stone gas fireplace. The Eat In Kitchen is spacious and showcases custom cabinetry with pull out shelving, breakfast island, Corian countertops, tile flooring, bill desk, tile back splash, crown molding, & recessed lighting. The Kitchen also provides access to the back deck. The Formal Dining Room with tray ceiling & crown molding is perfect for entertaining. 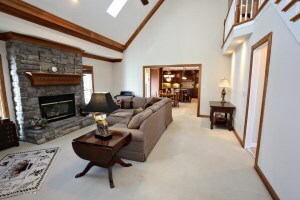 The Master Bedroom is conveniently placed on the first level with a vaulted ceiling & palladium window. There is a custom walk in closet in the Master as well as a luxurious Master Bath with walk in shower, jacuzzi tub, and dual vanity. A laundry room and half bath round out the first level. The 2nd floor of 13808 High Trail Court Louisville KY 40299 includes three large bedrooms (one with skylights) and a Full Bath. The unfinished basement with high ceilings is ready for future completion and available for storage. New owners will love the peaceful back deck surfaced with Trex Decking and the large back yard for outdoor enjoyment. 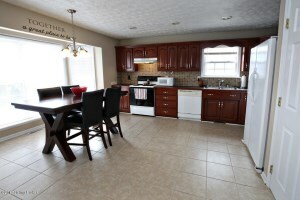 The property has a two car side entry garage as well as an extended driveway which can accomodate 8 cars. The house was originally a Homearama property! Many upgrades include roof replacement (2 years ago), fresh paint throughout most of the first floor (2017), custom lighting, and wiring for a hot tub on the deck! Call 502-371-1173 for more information on this incredible home for sale in Louisville, KY! 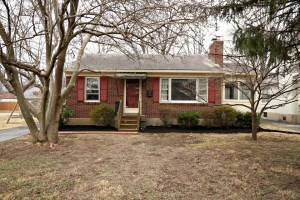 8804 Wisdom Ln Louisville KY 40229 is a wonderful three Bedroom, two Full Bath brick ranch in the desirable Heritage Creek neighborhood. New owners will love the floor plan & neutral interiors. 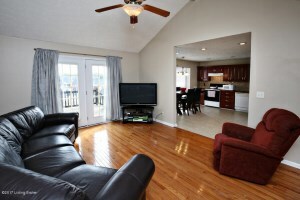 The Living Room showcases warm natural light, hardwood flooring, a vaulted ceiling, & access to the back deck. The Eat In Kitchen displays a newer backsplash & tile floor (2016), lovely bay window, & recessed lighting. The Master Bedroom includes an attached Master Bath. Both secondary bedrooms are good sized with updated carpeting (2011). The floor plan also offers a Full Bath. 8804 Wisdom Ln Louisville KY 40229 has a peaceful back deck which offers the perfect spot to relax with morning coffee or grill out. New owners will appreciate the large, fully fenced yard. Great neighborhood with clubhouse! Call 502-371-1173 today for more information about this beautiful home! At Home In Louisville Real Estate Group will be hosting two Open Houses in Louisville this Sunday February 5th from 2-4pm. Two gorgeous townhomes for sale in Dorsey Pointe will be held open. You'll love the spacious interiors & beautiful upgrades! We will also hold open at our brand new listing in Beechwood Village! 304 Marshall offers 3 Bedrooms and 2 full baths in a highly desirable location! Call 502-371-1173 for more information or visit with us this Sunday!